Custom, fully-renovated designer home in The Willows! 3 bedrooms and 2.5 baths blend with open-concept living space. Stunning great room with designer fixtures, fireplace, and adjacent dining area. Abundant kitchen space with luxurious details: quartz counters, stainless steel appliances, marble backsplash, waterfall kitchen island with breakfast bar and designer pendant lighting, built-in seating bench with storage. Master suite offers walk-in closet plus step-in marble shower with glass door and custom dual-sink marble vanity. Two bedrooms with custom closets share full hall shower-over-tub bath with subway tile surround. Engineered wide plank wood floors throughout. Magical, serene and private backyard showcases a Chinese elm with low-maintenance artificial grass and paver patio. A/C, tankless water heater and abundant storage. 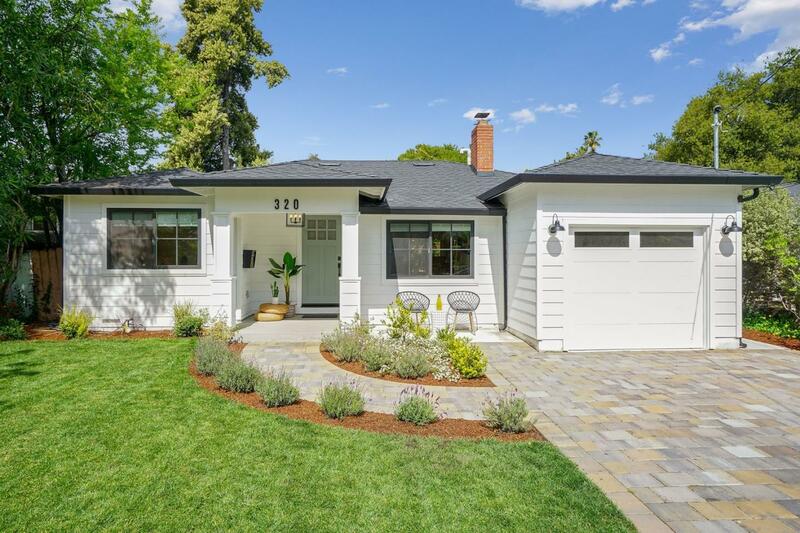 Ideal culdesac location near 101 and tech campuses, local parks, downtown Menlo Park and 1.5 miles to downtown Palo Alto. Distinguished Menlo Park schools.